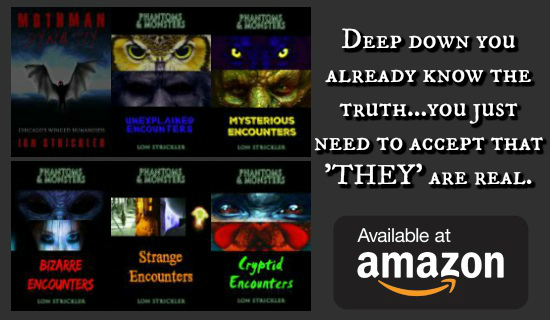 Lon: After reading this most recent chapter in the "Mothman" saga, my opinion is that the entity may not be predicting a future horrific event, per se, but perhaps is drawn to an area/people who have (for lack of a better term that I can come up with) unsettled vibrations. In other words, I believe our emotions are reflected in our vibrations. If there is an intensity of emotions, I believe this would be reflected in the vibrations we radiate and this may be what attracts the entity/entities. Although it may not actually be a portent of any unsettling events in the future, I can't help but think the entity is drawn to disruptive vibrations from both the living beings (such as humans, animals, etc.) as well as vibrations from the earth itself. The 1981 Chicago account seems to bear this out. I just read the 1981 Mothman account and it reminded me of the story you printed from that woman whose father was called down to the Mt. Pleasant area at the time of the Mothman sightings. Remember, the woman was a little girl and that strange creature with the orange chicken feet came out of the forest and telepathically spoke to her, asking her if her father had ever hurt her. I got the feeling from that that there was something going on in her family and that this creature was angry with her father for whatever he was doing to her. She was, I believe, an abused child and this creature was concerned about her. In the 1981 event, the boy was approached by a like creature, maybe from concern about the boy's abuse. 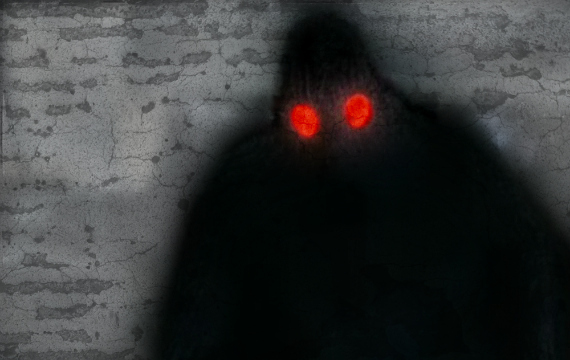 I have a small tidbit of a "sighting" of something that may or may not have been the being described by so many around the world at different points in time, the Mothman. My girlfriend and I saw the 'Mothman Prophecies' at the movie theater when it came out way back when. The next day she and I were driving up a road situated in the middle of Jefferson City, Missouri when this "birdlike" thing that resembled the "birdlike" thing in the movie that I believe was supposed to have caused the car accident bounced off of my windshield. It didn't look like any kind of bird or any other kind of thing I had ever seen. Right when the thing hit my windshield, my girlfriend cried, "Whoa!" And it was odd because the first thing I thought of after it happened was that it reminded me of the birdlike thing in the movie. And just after she cried, "Whoa!" my girlfriend said, "That looked like the thing in the Mothman Prophecies." It's not the 7ft humanoid creature with red eyes and wings, but...I don't know what to think. I didn't look back to see what happened to whatever it was that hit the windshield and didn't stop to look either. Maybe I was too freaked out. Not sure. Anyway. This happened in Jefferson City, Missouri heading up the big hill on Southwest Boulevard. If I can help further please feel free to contact me at this email. I live in northern Erie County, PA. About a year ago in my town, my mother and I heard loud booms. This continued every night for about a week. My mother and I both dismissed them as fireworks until we looked where the booms were coming from and the sky was clear. No light and no smoke, but they sounded like they were going off in our side yard. When we got the chance to look in our yard the morning after the first set of booms (about four or five that night) there were no burnt marks in the yard.